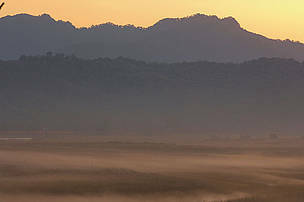 The Terai Arc landscape, shared by India and Nepal, sits at the base of the Himalayas. 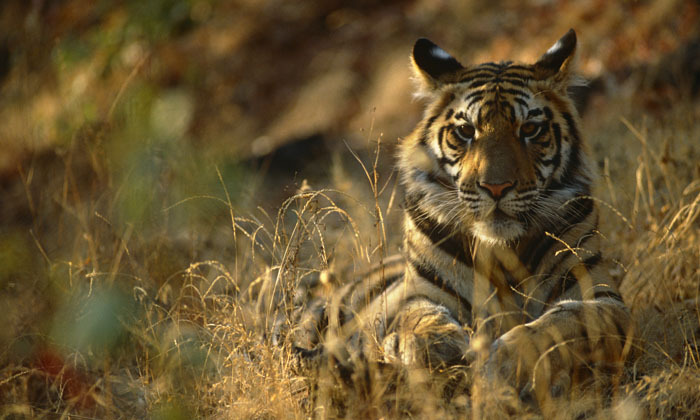 It is one of the few places in the world where wild tigers, elephants and rhinos still roam. At the heart of the Terai Arc are Corbett Tiger Reserve and the surrounding forests, where a substantial part of WWF-India’s conservation efforts are focused. The forests in the landscape are facing threats like never before: fragmentation and loss of wildlife corridors, unsustainable land-use policy, human-wildlife conflict, overuse of forest resources. Also, poaching of wildlife – both prey and their predators – remains a serious risk to the region’s famed biodiversity. In 2006, WWF began working with the village of Mankanthpur in the Kosi-Baur wildlife corridor. This village is located in the middle of the elephant and tiger movement area, and is among the top 20 sites for human-tiger conflict. At first, WWF staff had to earn the trust of community members, understand their livelihoods and routines, and figure out how to minimize the risk of contact with wild tigers. It became clear that women faced the greatest danger, because it was their responsibility to go to the forest to collect firewood and cattle fodder. Frequent forest fires, caused by the large amount of leaf litter on the forest floor, also threatened the community. Was there some way to keep women safe, and reduce the risk of forest fire? Sometimes you have to look for unlikely solutions. At the same time WWF was working to protect tigers and reduce human-wildlife conflict, the Indian government was training communities on composting to improve farm yields. WWF asked the forest department to allow community members to remove leaf litter from the areas most prone to forest fires. The leaf litter went to the compost pile, and the forest was less likely to go up in flames during the hot, dry summer months. “WWF-India’s team worked with the Forest Department and the communities to devise a way for the villagers to extract resources from the forest in a sustainable way. Lopping and cutting of wood was prohibited and only fallen branches could be removed. The communities were also informed that they would not be allowed to use certain sections of the forest, the main corridors used by tigers. As you can imagine, they readily agreed. It was also agreed in the village meetings that only the forest fringes would be used to extract the fallen wood, and that each village would extract fodder and firewood just two or three days a week,” says Dr. KD Kandpal, Landscape Coordinator, WWF-India’s Terai Arc Landscape project. To compensate for the loss of some firewood, WWF has promoted biogas stoves, which have multiple benefits. The cattle are now kept in pens, so people can collect the dung needed to run the biogas stoves. This has decreased the pressure on forests, as there are hardly any cattle grazing inside them. It is also safer for the cattle; in 2006 there were 15 cattle killed by wild carnivores; this dropped to below 10 in 2007 and in 2010 there were only three cattle kills reported on the periphery of the village. Residents of Mankanthpur village have now become part of community forest patrolling team, along with the Forest Department officials. This has increased the efforts to combat poaching and encroachment, and other unwanted interferences in the forests. Because of their close ties to the forest, residents were able to inform WWF staff that people from other villages were extracting firewood and fodder from the off-limits wildlife corridors. WWF-India’s team approached the authorities along with Mankanthpur villagers to stop this, and the Forest Department ordered the range officer to keep people out of these sensitive and dangerous areas. A final measure of the success of this project is the absence of retaliatory killing of carnivores by the villagers of Mankanthpur, despite a recent survey showing the presence of tigers in all sections of this forest landscape. Bengal tiger (Panthera tigris tigris), Bandhavgarh National Park, Madhya Pradesh, India.